38th edition of India International trade fair 2018 is schedule to held from 14 November 2018 to 27 November 2018. It is one of the biggest event of the Delhi. Every year Delhi NCR people wait for this event. General people saw this event as a picnic spot or outing event. On the other hand, business minded people look Trade fair as a business opportunity. It all depends on the perspective of visitors. Trade fair 2018 tickets are announced for business and general visitors. In this post, I am going to share all the important details of Delhi Pragati Maidan Trade fair 2018 tickets price along with IITF 2018 tickets booking procedure and important information. This year trade fair is organizing in less space due to ongoing construction work. Only 20% of space is available for this mega event. Participant number is also very low as compared to previous time. Only 800 are participating in the event as compared to 5000 to 6500. 25000 visitors are allowed in the fair due to less space. Theme of the fair is Rural India and Partner country is Afghanistan. Focus country is Nepal and Jharkhand is the focus state. Pakistan is not participating in the event due to less space. Total 16 countries are participating in 2018 trade fair including China. IITF 2018 tickets price are kept same as last year. Ticket price are declared for this year. First four days are reserved for the Business visitors and date is 14 November 2018 to 17 November 2018. 18 November to 27 November 2018 are reserved for general visitors. Business tickets are expensive as compared to the general tickets. Trade fair Business ticket price is 500 Rs for a day and season ticket valid for all 4 day is 1800 Rs. General visitors Trade fair ticket price is 60 Rs for Adult and 40 Rs for Children on weekdays. On weekends, Trade fair 2018 tickets price is 120 for Adult and Children need to pay 60 Rs for entry. Children 5 to 12 years of age need to purchase child ticket. Kids under 5 years are eligible for enry. This year tickets are not put on sale through Pragati Maidan ticket counter and Pragati Maidan metro station to avoid rush at the venue. 66 Metro stations are selling the trade fair 2018 tickets along with bookmyshow website in online mode. Trade fair senior citizen and student discount ticket information will be shared after the official confirmation. Pragati Maidan trade fair 2018 dates are from 14 November 2018 to 27 November 2018. 14 to 17 are reserved for business visitors, while rest days are allowed for all. Trade fair 2018 timings are from 9.30 AM to 7.30 PM. However, last entry is allowed till 5.30 or depends on the crowd. Trade fair entry can be done only through 3 gates this year. Gate no.1, gate no. 8 and gate no. 10 can be used for getting entry inside the trade fair. 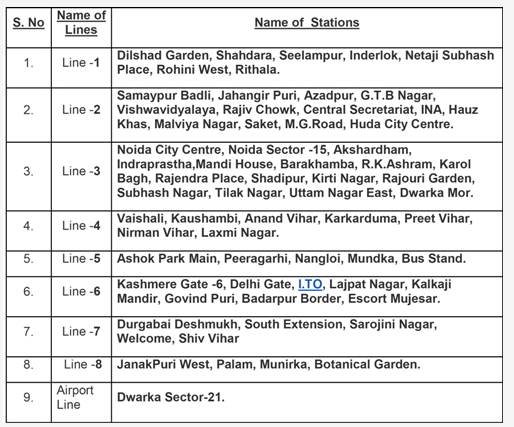 Gate No 10 is suitable for Delhi metro visitors and it is very near to the Pragati Maidan metro station. Parking facility is available on Bhairon road near gate no.1. Free shuttle service is plying from parking lot to gate no.1 of pragati maidan. Parking is paid. 2018 IITF is organizing in Hall No. 7, 8, 9, 10, 11, 12 and 12A due to less space. I hope this article will helps you to book pragati maidan trade fair 2018 tickets easily. We are not selling tickets and always buy iitf 2018 tickets from official website or 66 metro stations.